The Bumble Bee Conservation Trust are looking for people to support them and need your help to map the distributions of our bumblebees. In particular they need to know the current habitats of the rarer species which are bordering on extinction. You can take digital photographs of any unusual species that you see in your garden, or when off on a walk, and email them. There are a number of Bee surveys you can take part in. 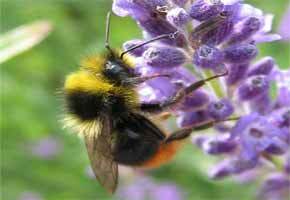 Their website has very useful information about Bumble Bees and what we can do to help.